I am a self-motivated Tanzanian, confident, hardworking, honest & loyal person. I am flexible, able to adapt & work according to different situations. I provide service...Read moreI am a self-motivated Tanzanian, confident, hardworking, honest & loyal person. I am flexible, able to adapt & work according to different situations. I provide service of the highest standards by setting targets for myself and work according to it. 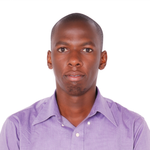 Currently i'm working at seebait (www.seebait.com) the leading adserver network in East Africa, as an Ads operational Manager .Through my work experience I have developed a lot technical skills which help to deal with all aspects in digital marketing, I would really love to share my experience in solving different problems a client would require in digital marketing.